Are you looking to adopt the newest and cuddliest four-legged member of your family? Long Island, with diverse natural landscapes and many talented veterinarians, is a fine place to breed dogs and the perfect place to find the right dog breeder for you. Whether you are looking for a specific breed or pedigree, or are simply interested in learning more about finding the right dog for your lifestyle, there are a handful of AKC certified dog breeders in Nassau and Suffolk County who are experts in breeding beautiful, healthy dogs. These breeders offer dogs and puppies that are raised in the best atmosphere, maintaining the classic look that dog enthusiasts adore while promoting the highest standards of health, athleticism and loyalty; the finest qualities of man’s best friend. Bring home the newest member of your family today! Pet Friendly Hotels - Get information about pet friendly hotels on Long Island. Pet Licensing Information - Find out how to register you new pet on Long Island. Pet Friendly Beaches - Find out where you and your best friend can enjoy Long Island's beaches. Pet Friendly Restaurants - Read reviews and ratings for Long Island's pet friendly restaurants. Pet Friendly Stores - Find a listing of pet friendly stores on Long Island. 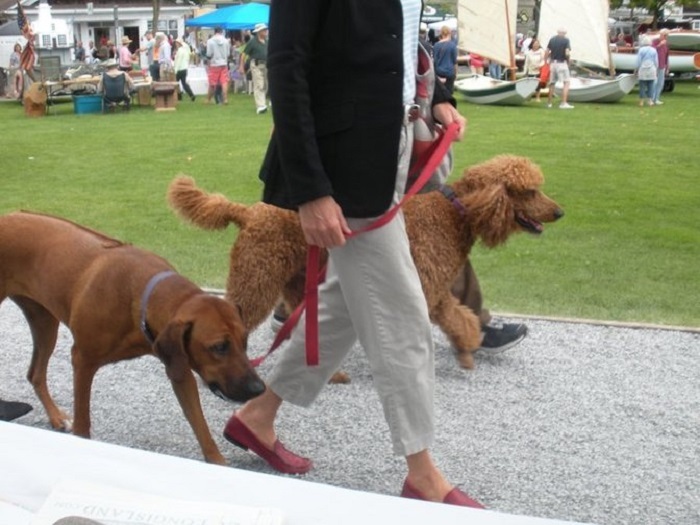 Pet Friendly Campgrounds - Find the perfect campground for the whole family on Long Island. Online Pet Resources - Find additional resources for pet owners online.